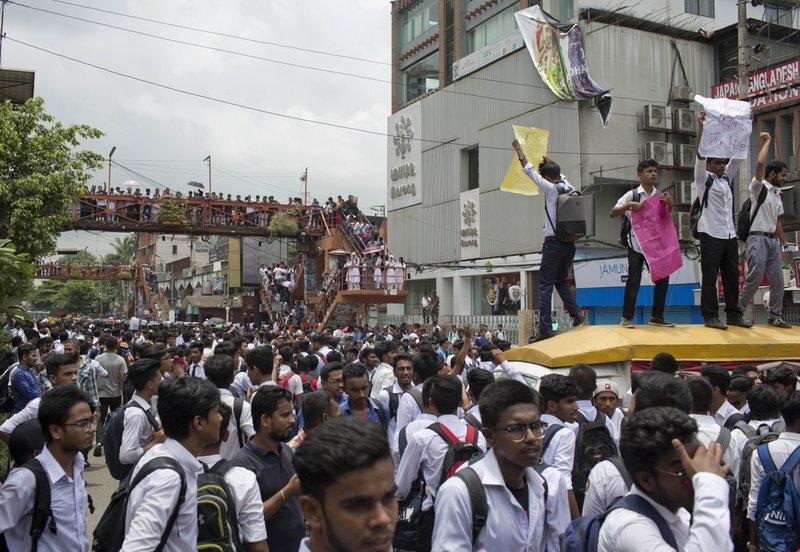 Five days of protests by tens of thousands of students angry over the traffic deaths of two of their colleagues have largely cut off the capital Dhaka from the rest of Bangladesh, as the demonstrators pressed their demand for safer roads. 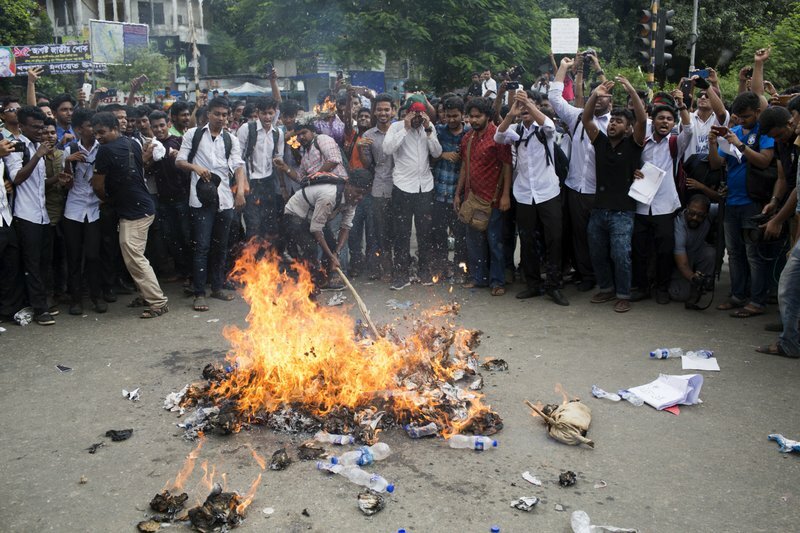 [post_ads]An angry mob set fire to a bus after it hit and killed a biker on Friday morning in Dhaka’s Moghbazar area. No casualties were reported. “We must bring changes,” said Selina Akter, a mother of two schoolchildren who joined the group. 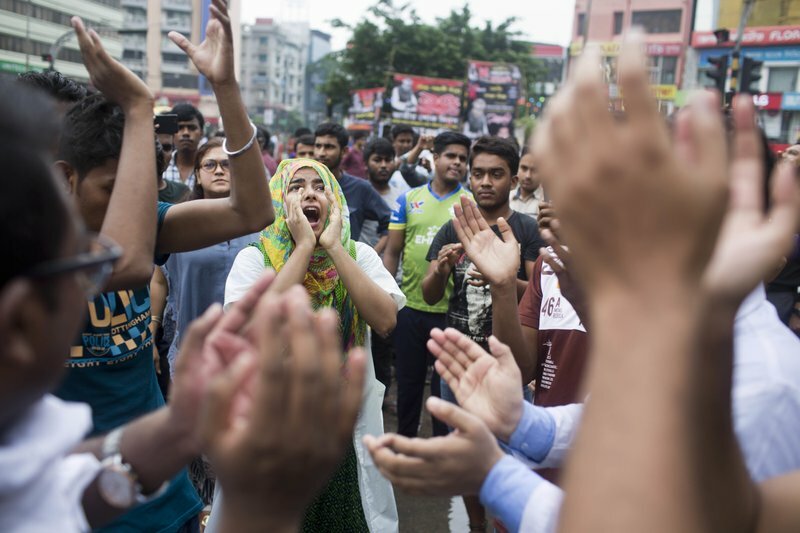 Some other groups also took to the streets in other parts of Dhaka. 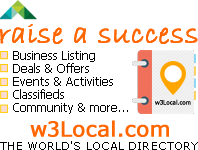 [post_ads]Corruption is rife in Bangladesh, making it easy for unlicensed drivers and unregistered vehicles to ply the roads. At least 12,000 people die each year in road accidents often blamed on faulty vehicles, reckless driving and lax traffic enforcement. 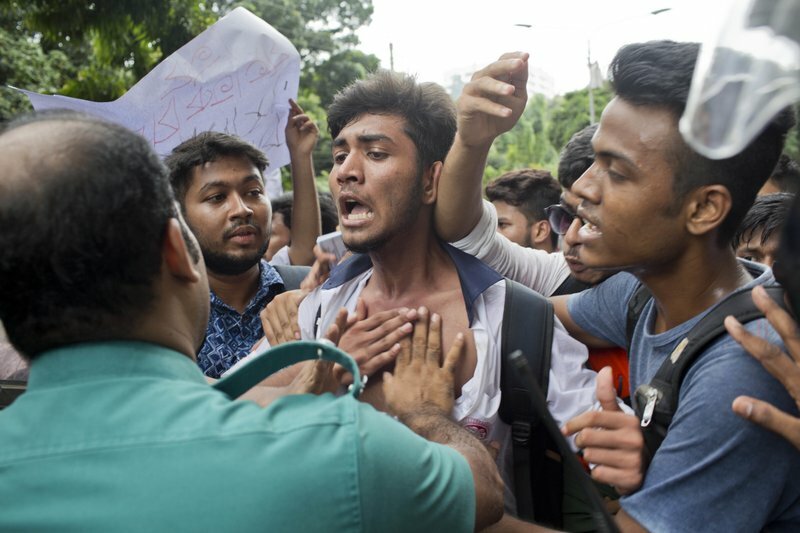 Abdur Rahim, a leader of the Bangladesh Road Transport Workers’ Federation, said bus operators would stay off the streets until security improves. A handful of buses were attacked during the protests.